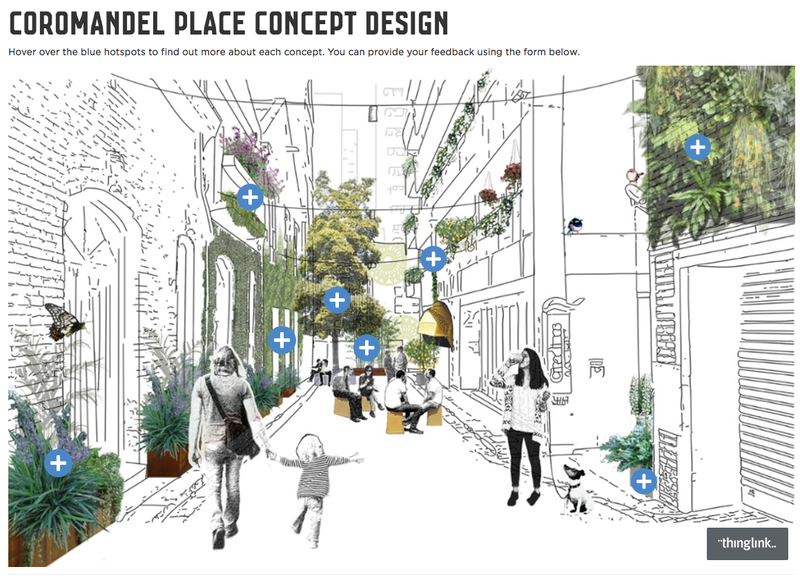 Coromandel Place, Guildford Lane, Katherine Place and Meyers Place are set to be transformed into green leafy spaces as part of the 'Green Your Laneway' pilot project by City of Melbourne. Working closely with residents and businesses, City of Melbourne has developed a range of preliminary concept designs for each laneway showing a range of greening options that are being investigated for each lane. 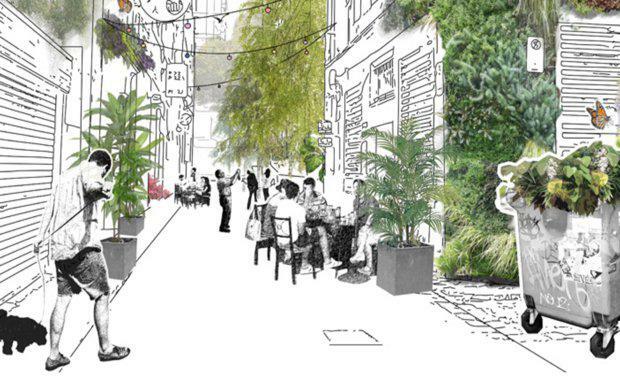 With over two hundred laneways in the central city, totalling nearly nine hectares, the Green Your Laneway program was established to help transform the city’s laneways into leafy, green and useable spaces with vertical gardens, new trees and new places to sit and relax. The program seeks to enhance the experience of Melbourne's laneways further, with the opportunity to transform them into the 'city's back yard.' Concepts being investigated include potential for vertical greening, trees, and places to dwell and relax. The selected laneways are Coromandel Place, Guildford Lane, Meyers Place and Katherine Place. Initial design concepts have been developed for each with further community engagement to refine the concepts, funded by the City of Melbourne. Invitations are open for the public to share their views on the ideas by exploring the range of greening approaches being worked on with the stakeholders in each laneway. You can also provide your feedback and sign-up for updates on each laneway page. The City of Melbourne, through our Urban Forest Strategy, has a comprehensive plan for greening major streets and precincts, but not the smaller laneways. Across the municipality, laneways occupy a ground area of 60 hectares, with a further 150 hectares of space on the walls in these laneways. creating opportunities for relaxation and recreation.